We tested the hypothesis that exposures to particulate matter and ozone can produce asthma-like symptoms. Balb/c mice received a single intratracheal instillation of particulate matter and TiO2 or they were exposed to low concentration of ozone. We have established that exposure to particulate matter produces increased responsiveness to methacholine in mice. Exposure to ozone and TiO2 did not produce changes in respiratory mechanics. These data are spreading our understanding about mechanisms of environmental influence on air- ways. 68 ISSN 0201-8489 Фізіол. журн., 2001, Т. 47, № 4Гигиена и санитария. – 1999. - № 3. – С. 9-10. Зеркаль Л.И., Беднарик О.Н., Павленко М.Е.Загрязнители атмосферного воздуха и показате-ли смертности населения // Лікар. справа. –1994. - № 9-12. – С. 190-192. Сабирова З.Ф. Роль загрязнений атмосферноговоздуха в формировании аллергической патоло-гии у детей // Гигиена и санитария. – 1999. -№ 6. – С. 50-51. Соколюк Н.Л. Стан повітряного середовища тагіперчутливість бронхів // Лікар. справа. –1996. - № 5-6. – С. 78-79. Нечитайло Ю.М. Екологічний стан повітря тачастота гострих респіраторних вірусних інфекційу дітей // Інфек. хвороби. – 1998. - № 4. – С. 35-37. Aris R.M., Christian D., Hearne P.Q. et al. Ozone-induced airway inflammation in human subjectsas determined by airway lavage and biopsy//Amer. Rev. Respir. Dis. – 1993. – 148. – P. 1363-1372. Bascom R. Environmental factors and respiratoryhypersensitivity: the Americas// Toxicol Letters. –1996. – 86. – P. 115-130. Boushey H.A., Holtzman M.J. Experimental airwayinflammation and hyperreactivity. Searching forcells and madiators// Amer. Rev. Respir. Dis. –1985. – 131. – P. 312-313. 9. Empey D.W., Laitinen L.A., Jakobes L. et al.Mechanisms of bronchial hyperreactivity in normalsubjects after respiratory tract infection// Ibid. –1976. – 113. – P. 131-139. 10. Hortsman D.H., Folinsbee L.J, Ives P.J. et al. Ozone concentration and pulmonary response rela-tionships for 6.6- hour exposures with 5 hours ofmoderate excercise to 0.08, 0.10 and 0.12 ppm//Ibid. – 1990. – 142. – P. 1158-1163. Kirichenko A., Li L., Morandi M.T. 4- Hydroxy-2-nonenal- Protein Adducts and Apoptosis in Mu-rine Lung Cells after Acute Ozone Exposure //Toxicol. Appl. Pharmacol. – 1996. – 141. – P. 416-424. Kleeberger S.R., Basset D.J., Jakab G.J. et. al. 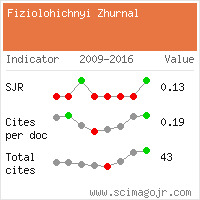 Agenetic model for evaluation of susceptibility toozone-induced inflammation // Amer. 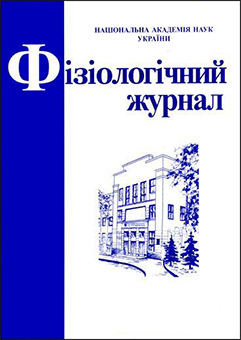 J. Physiol.– 1990. – 258. – P. 313-320. Larsen G.L., Colasurdo G.N. Animal models ofasthma. In: The Lung : Scientific Foundation. –New York. : Raven Press., 1997. – P. 1315-1331. Linn W.S., Venet T.G., Shamoo D.A. Respiratoryeffects of sulfur dioxide in heavily exercising asthma-tics: a dose-response study// Amer. Rev. Respir.Dis. – 1983. – 127. – P. 278-283. Molfino N.A., Wright S.C., Satz I. Effect of lowconcentration of ozone on inhaled allergen responsesin asthmatic subjects// Lancet. – 1991. – 338. –P. 199-203. Ostro B.D., Eskeland G.S., Sanchez J.M. et al.Air pollution and health effects: A study of medicalamong chidren in Santiago, Chile// Envi-ron Health Perspect. – 1999. – 107. – P. 69-73. Peters J.M., Avol E., Gauderman W.J. et al. Astudy of twelve Southern California communitieswith different levels and types of air pollution.Effects on pulmonary function// Amer. J. Respir.Crit. Care Med. – 1999. – 159. – P. 768-775. 19. Schwartz J.D.W., Dockery L.M., Neas D. et al.Acute effects of summer air pollution of respiratorysymptom reporting in children // Amer. J. Res-pir. Crit. Care Med. – 1994. – 5. – P. 1234-1242. 20. Seltzer J., Bigby B.G., Stulbarg M. et al.O3- induced change in bronchial reactivity tomethacholine and airway inflammation in humans// J. Appl. Physiol. – 1986. – 60. – P. 1321-1326. Yanai M., Ohrai T., Aikawa T. Ozone increasessusceptibility to antigen inhalation in allergicdogs// Ibid. – 1990. – 68. – P. 2267-2273. Zhang Y., Lamm W.J., Albert R.K. et. al. Influenceof the route of allergen administration and geneticbackground on the murine allergic pulmonaryresponse // Amer. J. Respir. Crit. Care Med.-1997. – 155. – P. 661-669.